A Complete Website Package or Website Redesign from Web Eminence is so affordable because I use professionally designed themes by Elegant Themes. 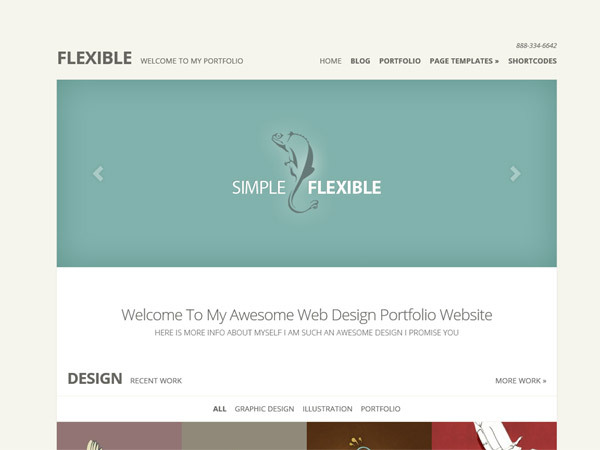 It doesn’t make sense to overpay for a custom design for your website if you don’t need it. As one of my clients, you choose your own website theme from over 80 themes available from ElegantThemes.com and I will implement it for you. 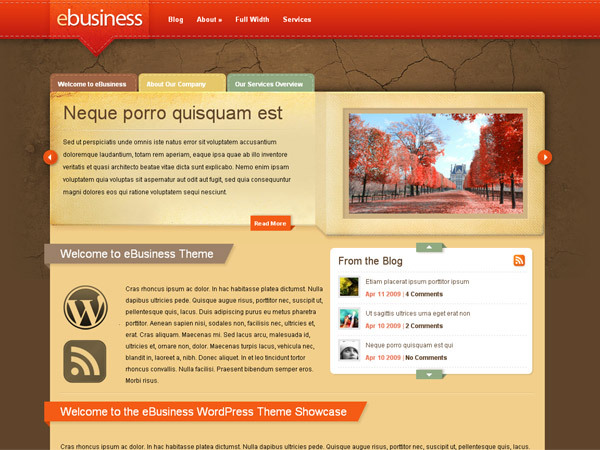 A theme is included with your startup fee and all themes can be customized for your individual needs. 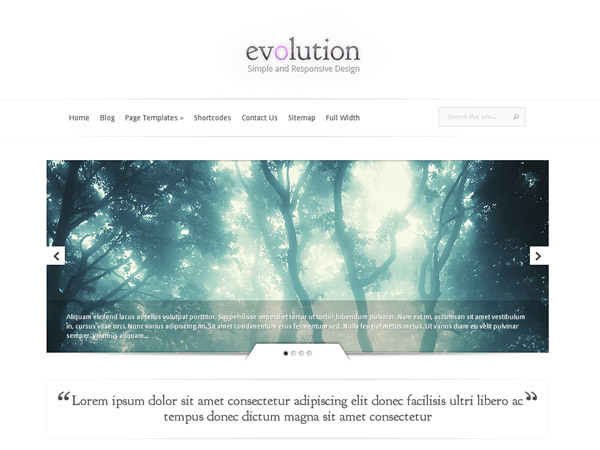 Click here to browse all the available themes. If you can’t find a theme you want from ElegantThemes, for an additional $120, you can choose any WordPress theme from ThemeForest and I’ll purchase the theme and implement it for you. 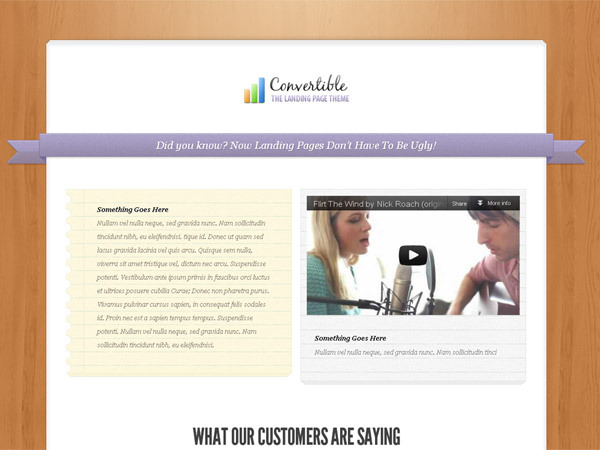 Why Use Website Themes or Templates? The main reason to use website templates or themes is because of they are much more affordable than a custom website design. 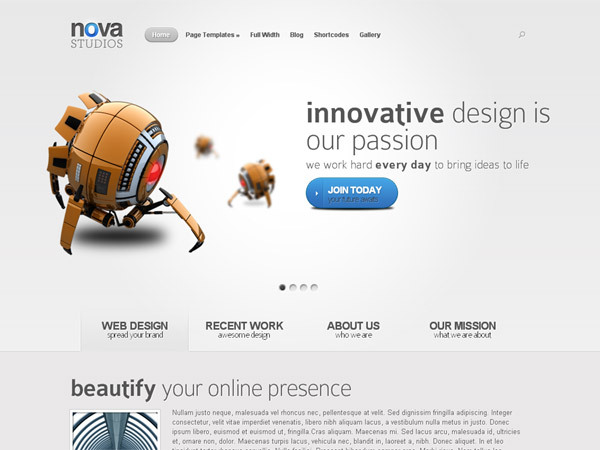 In order to get a professional website custom designed, many people pay thousands of dollars. Unless you are a large company, you probably don’t have the budget to purchase a professionally-designed custom website. 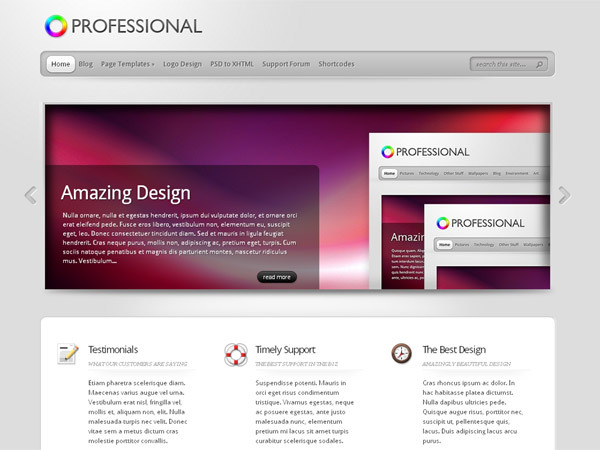 In the past, there were not many website templates to choose from and most of them didn’t look very professional. Thanks to many new developers and designers creating premium themes for website platforms like WordPress, small businesses and individuals looking for affordable website solutions can purchase professional themes and templates that can be implemented at low cost and still produce professional results. 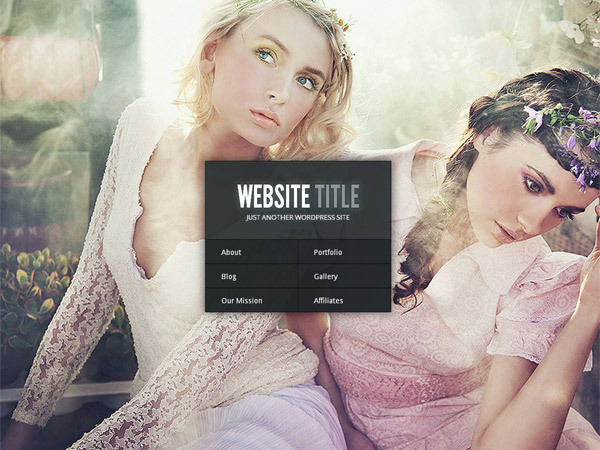 One worry people have about website templates is that they will not be able to customize the template at all. While the design for the website is already created, the themes from Elegant Themes can be highly customized to fit the specific needs of your website. 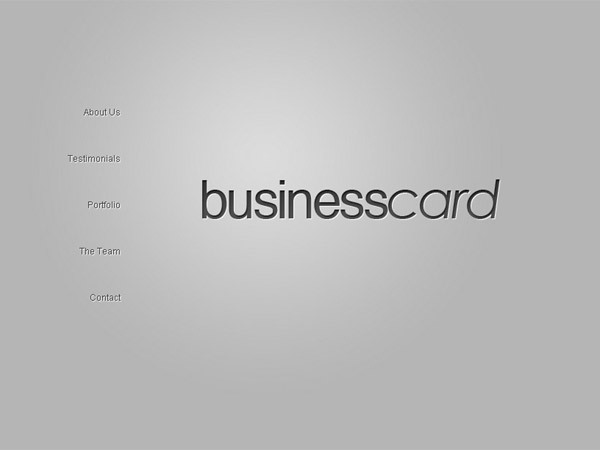 All you do is choose the theme and communicate what you would like on your website. I will do all the setup for you and make revisions until it’s exactly what you want. It’s as simple as that. I have a license with ThinkStock.com to provide my clients with access to millions of professional stock images for use on your website. This is included in the startup price. You can browse millions of professional stock images and choose the ones you want to use on your site. Or you can give me some guidance and let me select the pictures for you. Most website designers require you to provide or pay for professional stock images. 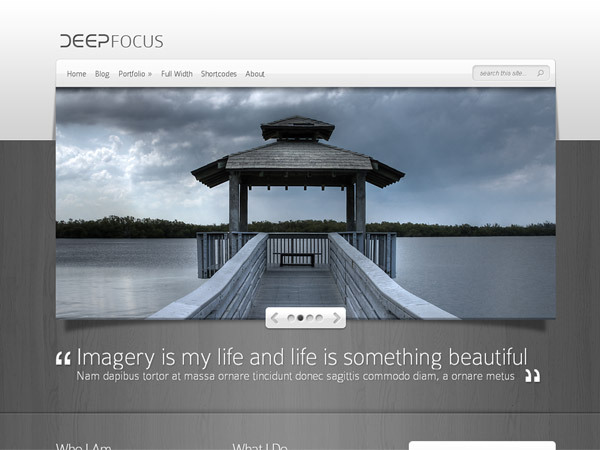 With a Web Eminence Complete Website Package, you get unlimited professional stock images included in the price. This is a tremendous value! Need a picture of a hand shake? No problem! 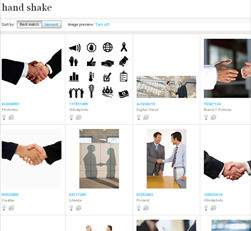 There are 13,000 results for “hand shake” in ThinkStock’s images. All images are available in high resolution for use in any size on your website. Your logo is one of the most important aspects of your page. Visitors to your website will see the logo on every page and it communicated a level or professionalism (or the opposite).When your design theme is implemented, I will edit the logo for you to match your website name or business name. It will look like the logos you see in the design themes above. However, I have spent my own money to find great graphic designers to partner with to bring you a great professional logo option at an affordable price. Read more about it on my logo service page.